​Originally from Colombia, she holds a Bachelor’s in Psychology from Universidad de Los Andes and a MA from the Expressive Arts Therapy Program at CIIS where she now provides Clinical Supervision for third year EXA students as well teach as a BIS adjunct faculty. She has worked for over twenty years in the arts and community mental health field, beginning in her native Colombia. Today, in addition to her work with Wellness in Action she combines her love of teaching, the arts and healing in her private practice and studio and with other community based organizations. 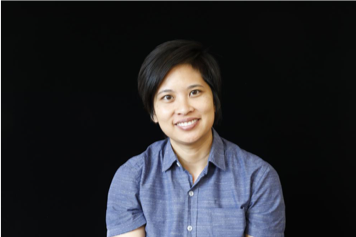 ​Laura is a Filipina-Indian American and received her MPH from UC Berkeley, where she studied health and social behavior. 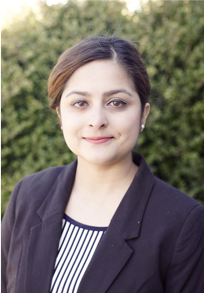 She designs and implements programs and evaluations with local nonprofits and community-based organizations that work with and for immigrant and refugee communities in the Bay Area. ​Roshmi has worked as Wellness in Action Coordinator and is currently completing a “Traning Needs Assessment” with local CBOs. She holds Master’s degree in Public Health from The Arctic University of Norway, and is a registered nurse in Nepal. She believes Mental health issues are burning problems in modern society. She is working towards mitigating mental health stigma in her community through research and holistic work and looks forward to aware the public about the importance of Mental Health. 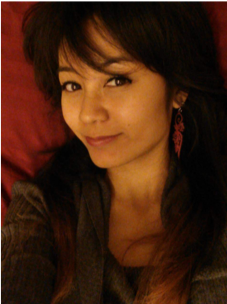 Kiona is a Colombian-born expressive arts therapist intern and facilitator. She has worked in community mental health through diverse projects for the past 11 years. Through the weaving of play, multimodal arts and spirituality, she is passionate about creating spaces and relationships that engage communities. As a Wellness in Action grantee, Kiona co-facilitated expressive arts self care groups and currently works as a family therapist through Bay Area Community Resources. Fatima holds a degree in marketing with a focus in market research. She has worked for over 11 years with multinational market research companies, conducting qualitative research in different countries. She changed gear into the workforce development after moving to the US, and assisted job seekers from diverse socio-economic, ethnic and age backgrounds. She later focused on career coaching field and she is currently working with a non-profit organization as a Healthcare Career Coach, serving refugees and immigrants. She is also a healthcare Interpreter and works with CCSF as a CHI Coach assistant. Her experience in healthcare awakened her interest in mental health and opened her eyes to the real need of such a service for her own community (Arabic community). She is now pursuing her M.S. in Clinical Mental Health Counseling focusing on Career Counseling. Nafisa holds BS in Industrial/Organizational Psychology. Facilitator of Afghan women’s support group, through WiA. Bringing awareness about mental health for the Afghan community and breaking cultural misunderstandings about mental health and other social issues, through fun art projects and group meetings. ​Emilio is an Argentinean-born Expressive arts Intern and facilitator. Emilio graduated from California Institute of Integral Studies (CIIS) and holds a Master’s degree in Counseling Psychology; with a concentration in Expressive Arts Therapy. Emilio is also a Reiki Master and practitioner. Emilio has experience working in the field and with diverse communities for the past 8 years and as a Wellness in Action grantee, Emilio co-facilitated expressive arts self care groups. He is currently working as a Mental Health Specialist with adolescents at Summit Alta Bates Hospital. ​Nicole holds a B.A. in Human Biology and Society, UCLA. She is a Japanese Filipina Bay Area native who worked with WiA to create a community support group for organizers in Anakbayan East Bay and other sister organizations working for genuine democracy and just peace in the Philippines. Today, she works as an emergency medical technician, a teacher, and a local photographer with hopes to continue her higher purpose by offering support on the ground. Miriam is an Expressive Arts Therapist intern, Arts educator and Creative Arts facilitator. She holds a BA in Psychology and certificate in Chemical Dependency Counseling from United States International University in Kenya, and a MA in Counseling Psychology, concentration Expressive Art Therapy from California Institute of Integral Studies. Miriam is a clinician at The Child Therapy Institute of Marin and Multilingual Counseling Center in Oakland, and volunteers as a mental health interpreter for refugee and asylum seekers. With a background in Fine Arts, dance and fitness, Miriam has worked and lived in several countries combining creative arts disciplines and other healing modalities. Min is an Arakanese-Burmese Victim Advocate Counselor currently working at Lao Family. He was part of the Leadership for Community Wellness training program in 2016 and has been associated with Wellness in Action ever since. Jaq is a queer, non-binary trans, Vietnamese drama therapist. They hold a M.A. in Counseling Psychology from the California Institute of Integral Studies (CIIS) and B.A. in Philosophy from the University of Colorado (CU Boulder). Jaq is a clinician at Pacific Center for Human Growth and Center for Empowering Refugees and Immigrants. They founded and directed Dig & Demand—a healing justice program with Wellness in Action—to radicalize mental health services for diasporic queer trans people of color. Jaq’s work also includes art and community activism. They received a 2017 Soma Award for "Outstanding Activism Inspired by Spiritual Wisdom" from the Buddhist Peace Fellowship and a 2015 Excellence in Theatre nomination for "Best Featured Actress" by the San Francisco Bay Area Critics Circle. Andrea is born in Berkeley, California and graduated from Berkeley High School. She holds a B.S. degree in Criminal Justice, with a focus on Homeland Security, and Crisis Management. 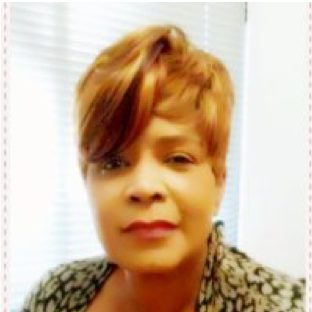 She has over thirty years of experience in both physical security law enforcement with a focus in healthcare Safety, security and emergency preparedness. 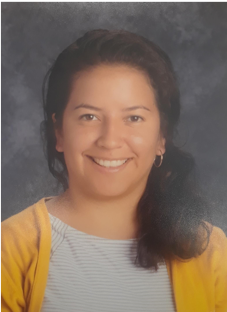 Currently, she is working as the Regional Security and Emergency Preparedness Specialist for a local non-profit agency, La Clinica de la Raza, where she is responsible for the well-being of approximately 40 clinics and 1200 employees safety. Andrea’s years of experience in healthcare security, emergency management, and disaster planning, caused a cognitive shift in her interest in community awareness and involvement, in-turn sparking an interest in working with at-risk youth and other vulnerable populations. She is currently pursuing her M.S in Clinical Mental Health Counseling focusing on Forensic psychology. 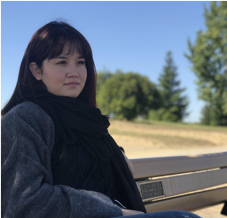 Her goal is to obtain dual licensure in Marriage and Family Counseling (LMFT) and Licensed Professional Clinical Counselor (LPCC) with the State of California. 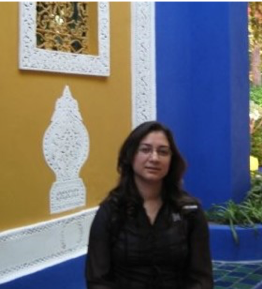 Maria Gonzalez-Blue is an Expressive Arts Therapist, facilitator and educator. She has taught Person-Centered Expressive Arts therapy internationally. Maria taught with Natalie Rogers, at the Person-Centered Expressive Therapy Institute for 15 years and co-founded the Person-Centered Expressive Therapy Institute in Argentina in 1994. 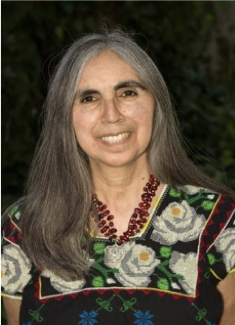 She has taught at California Institute of Integral Studies in San Francisco, in Mexico and Guatemala, and has presented worldwide to diverse cultures. Currently she teaches Mixed Media Intuitive Arts at Santa Rosa Junior College. Of Mexican descent, her personal spirituality and core of much of her work is founded in the Huichol methodology of Mexico. Born in Chiapas, México, Miguelito Martinez studied Music Education and Transversal Flute from the University of Science and Art in Chiapas and La Universidad Veracruzana with training in Kodaly and Dalcroze, and holds his Orff Schulwerk music certification by the San Francisco Orff International Levels. Miguelito Martinez has been a guest musician for the AOSA (American Orff-Schulwerk Association), CMEA (California Music Education Association) and The OUSD (Oakland Unified District). Martinez is the founding director of Corazon Sur a Mexican-Caribbean fusion ensemble and co-director of Balamcoatl; a collaborative project focused on diffusing the vibrant music and dance traditions of the indigenous people of México.